'The Alchemist's Daughter' Is No Frankenstein's Monster Theodora Goss's novel takes bits and pieces from several different monstrous mythologies — Jekyll and Hyde, Dr. Moreau and more — but she makes something new and deceptively intricate out of them. Mary Jekyll has never been more alone. Her father, Dr. Henry Jekyll, died 14 years ago, and her mother Ernestine has just passed away after going mad. Living in London in the 1890s, she's subject to the era's discrimination against women, which she confronts while trying to get her family's affairs in order. She soon realizes she's destitute — but her mother has left her clues to a bank account that lead to a girl named Diana Hyde. Mary remembers Diana's father from her childhood; Edward Hyde, crude and misshapen, was a friend of Dr. Jekyll's. As a mystery coalesces around them — one that transcends their curious overlapping pasts — three other women enter their orbit, each of them the daughter, literal or figurative, of a scientist belonging to a secret society: Catherine Moreau, Beatrice Rappaccini, and Justine Frankenstein. 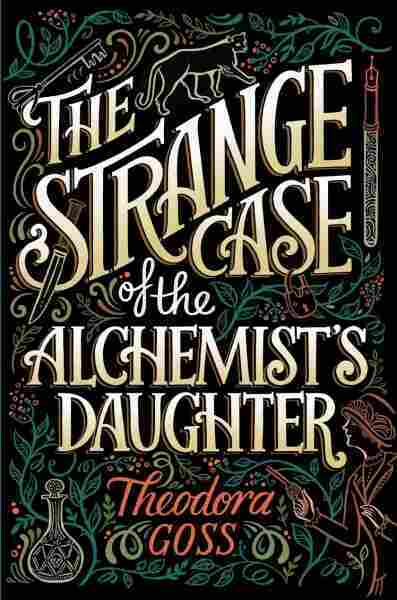 The premise Theodora Goss lays out in her novel The Strange Case of the Alchemist's Daughter isn't shockingly original. But before you assume it's some sort of, well, Frankenstein's creature comprising pieces of Monster High and Penny Dreadful, be assured that Goss has executed something much deeper. True, she's unabashedly drawing from the work of Robert Louis Stevenson, H. G. Wells, Nathaniel Hawthorne, and Mary Shelley. Rather than executing a shallow mash-up, though, she's assembled a deceptively intricate mosaic of friendship, family, history, science, and the way literature — not to mention truth — can be manipulated. Rather than executing a shallow mash-up ... [Goss has] assembled a deceptively intricate mosaic of friendship, family, history, science, and the way literature — not to mention truth — can be manipulated. Mary and crew's investigation into secrets of the Société des Alchimistes, the centuries-old cabal their fathers belonged to, leads to further entanglements. The Jack the Ripper case becomes a central part of the story, as does the appearance of a detective named Sherlock Holmes and his assistant, Dr. Watson. Mary Shelley herself factors into the plot; Frankenstein is a novel that exists in Goss' twisty version of history — only no one knows it's a truthful account, or at least an account containing a certain perception of the truth. As each of the characters' haunting pasts comes to light, the book's balance between academic playfulness and poignant storytelling becomes more exquisite. If Goss is guilty of anything, it's loving her source material too much. At points, her invented connections between all these 19th-century characters and historical figures feel too convenient. But that overt sense of contrivance is part of the story as well. The novel is presented as being written by Catherine, and the text is interrupted constantly by notes from the other women of the group, quibbling and questioning her writing style and portrayal events. At one point Catherine writes as an aside, "You, dear reader, will be able to see how annoying and nonsensical most of [these asides] are, while offering the occasional insight into character." It's a cleverly meta twist on the unreliable narrator device — the argument about who's telling the truth takes place on the page, literally between the lines of the story — and Goss is smart to acknowledge that these constant intrusions might not be every reader's cup of tea. For all its intellectual trickiness, 'Strange Case' is a swiftly paced, immaculately plotted mystery full of winning characters you always thought you knew, as well as ones you would never have imagined. Goss not only makes her unusual structure work, she makes it a breeze. For all its intellectual trickiness, Strange Case is a swiftly paced, immaculately plotted mystery full of winning characters you always thought you knew, as well as ones you would never have imagined. Even when she brings up weightier subjects — feminism, gender fluidity, the onset of modernity in the predawn of the 20th century — she handles them with wit and sensitivity. "It will be a new way of writing a novel, and why not?" Catherine asks rhetorically, referring to her own manuscript in progress — that is, Goss' novel itself — and its elaborate web of reality, fantasy, science fact, science fiction, literary criticism, and competing voices. At its heart, Strange Case is a lively, late-Victorian adventure that celebrates, overhauls, and pokes gentle fun at the era's weird-fiction tradition. But it's also a sparkling, insightful conversation with the canon from which it sprang.